In order to contribute to the scientific community, gone are those days when the only individual with white coats, inexpensive laboratories, bring specimens, identify, sketch and document it. With the advent of technology and massive adoption of smartphones, every child, adult or citizen now carries a Science laboratory in their pocket. 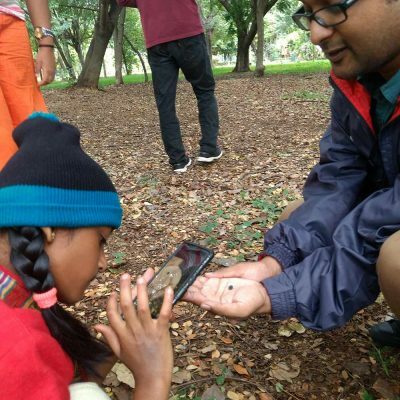 Kids learn how tools like mobile photography, apps and various other mobile tools can make a child become a well-equipped citizen scientist and contribute to the scientific community.